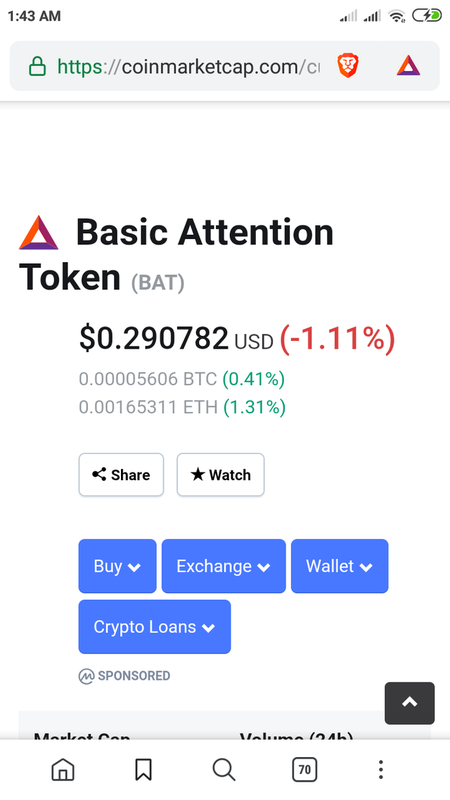 Open it, and claim 25BAT Tokens(5.65$) by clicking on the BAT symbol to the top right. Register to publishers account: https://publishers.basicattentiontoken.org and link your youtube account there. Receive BAT Tokens at the 8th of Every Month. Transfer your BAT Tokens to the Uphold account. Note: Use same email for doing the tasks. Use Brave Browser atleast for 30 days, then you'll receive BAT Token rewards every single month. You'll earn $5.65 worth of BAT Tokens for every new referrals.